Our fast-paced, modern lives demand instant gratification, often sacrificing quality and attention to detail...especially over the holidays! Primula invites us to take a moment to enjoy some of life’s simple pleasures, done right. Easy, everyday experiences to share that stimulate our senses and soothe our souls. From the visual delight of their flowering teas to the intoxicating aroma of a freshly brewed pot of tea, Primula transforms ordinary moments into extraordinary. They have an awesome product called the Flavor It Pitcher and it would make a great gift for anyone on your list this year since so many beverages can be mixed, flavored and drank in the Flavor It Pitcher! Brew it, flavor it, or chill it in the new Flavor It Pitcher from Primula. Whether you're brewing hot or cold coffee or tea, infusing fresh fruit flavors into water, infusing mint or lavender into lemonade, or chilling mojitos for entertaining - Flavor It is an eco-friendly alternative to infused bottled beverages. The perfect pitcher, along with trend-forward accessories, makes beverage preparation easy. The pitcher, tea infuser, flavor infuser, lid, and top are dishwasher safe. 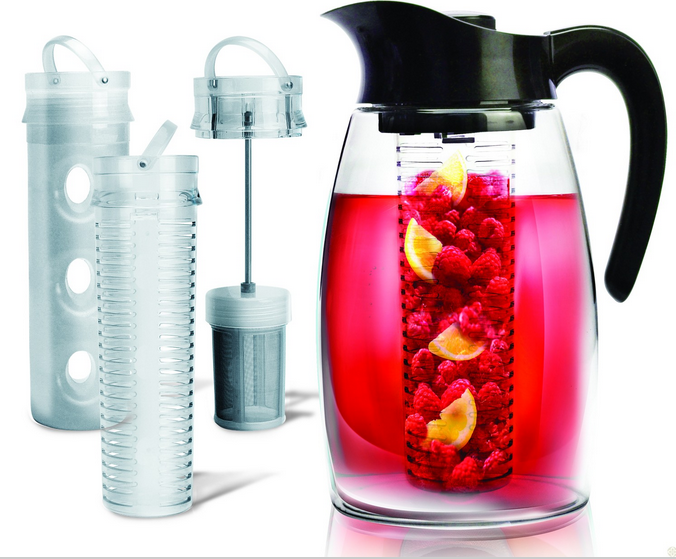 Buy It: You can purchase the Flavor It Pitcher 3-in-1 Beverage System for only $29.99 from the Primula website. 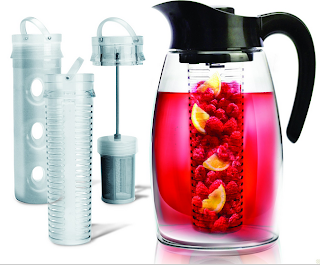 Win It: Primula is generously offering (1) Flavor It Pitcher 3-in-1 Beverage System to a lucky winner!